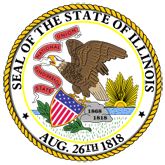 Press Release: It is the policy of the State of Illinois and the Department of Central Management Services to approve flexible hours for State employees, when possible, without disrupting the efficiency and effectiveness of the work force. 1. Department of Central Management Services Childcare Flexible Work Schedule Plan (PublicAct87-552ChildcareFlexTimeBiennialReport3-1-19_MDsuggestededits003.pdf).